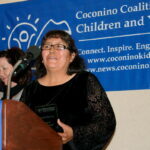 The Coconino Coalition for Children and Youth (CCC&Y) congratulates the 2016 Caring for Children Award recipients: Foster parents Sylvia and Stephen Blanchard; Florina Daniels, a family advocate at Safe Child Center in Flagstaff; Carolyn McCabe, a parent resource coordinator at Leupp Public School and Cody McMurry, a recreational specialist with Native American Community Action’s Pathways Youth Program. 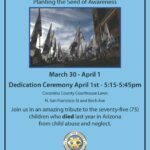 The awards were presented at the 2016 Child Abuse Prevention Conference and Luncheon held March 31 at the Doubletree by Hilton, Flagstaff. The First Annual 2016 STEAM Mini Makers Faire is just around the corner. We want to make our Mini STEAM Makers Faire a BIG success. 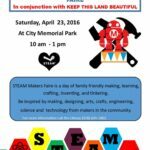 This annual STEAM Faire will be held on Saturday, April 23, 2016. Our mission is to inspire and empower students and the community everyday! In order to make the STEAM Mini Makers Faire a reality, we would love to enlist the help of our STEAM Community. 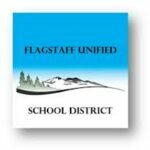 Northland Family Help Center will present its annual “Clothesline Project” to raise awareness and support for survivors of abuse from 7 a.m. to 5 p.m. Friday, April 29 at Heritage Square, downtown Flagstaff…. 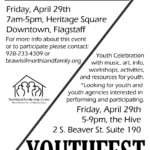 NFHC will also present its annual “YouthFest,” the NFHC’s Runaway/Homeless Youth Awareness performance event from 5 to 9 p.m. Friday, April 29 at the Hive, 2 S. Beaver St., Suite 190, Flagstaff. 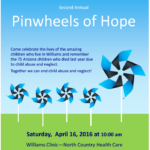 The Williams Child Abuse Prevention Council will present its second annual “Pinwheels of Hope” at 10 a.m. Saturday, April 16 at North Country Healthcare, 301 S. 7th St., Williams. The Arizona Child Fatality Review Program’s 2014 report attributes 75 child deaths statewide to abuse and neglect, a reduction from 92 in 2013. The Review Team determined that 100% of those 2014 deaths were preventable. Over 18,000 Arizona children are currently in out-of-home care due to abuse or neglect. First responders, teachers, social workers, clinicians, medical personnel, faith leaders and many more dedicated community members work hard to support these children and families and continuously find ways to keep our communities and children safe. Each year, the Coconino Coalition for Children & Youth (CCC&Y), in partnership with the Department of Child Safety (DCS), hosts the Child Abuse Prevention Conference and Luncheon. This year’s events both will be held on March 31, 2016. Our theme — “Strengthening Ourselves, Strengthening Our Practice” – will provide opportunities to not only reinforce prevention efforts, but also reinforce ourselves as agents of change. 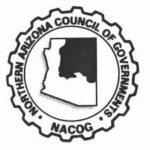 CCC&Y will welcome Lita Nelson of the Area Agency on Aging – NACOG to our monthly Board Meeting scheduled for Monday, Monday, March 21 from 12 to 1:30 p.m. in the Ponderosa Room at the County Health and Community Services Building. ALL are welcome to attend and join in the discussion. We will receive an update on the Kinship Care Program, other services and Coconino County outreach. There will also be a brief presentation by Joy Goff of the Foster and Adoption Network of Northern Arizona. 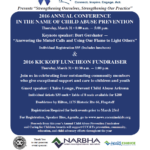 In recognition of April as Child Abuse Prevention Month, CCC&Y will present the 2016 Annual Educational Conference — “Strengthening Ourselves, Strengthening Our Practice,” and the 2016 Annual Kickoff Luncheon Fundraiser, on Thursday, March 31 at the Doubletree by Hilton, 1175 Historic Rte. 66, Flagstaff.